Douglas starter Connor Brian struck out nine in the complete-game shutout. Helping at the field and trying to have the grounds ready amidst this week’s horrible weather situations, Douglas starter Connor Brian was always thinking about the game itself. 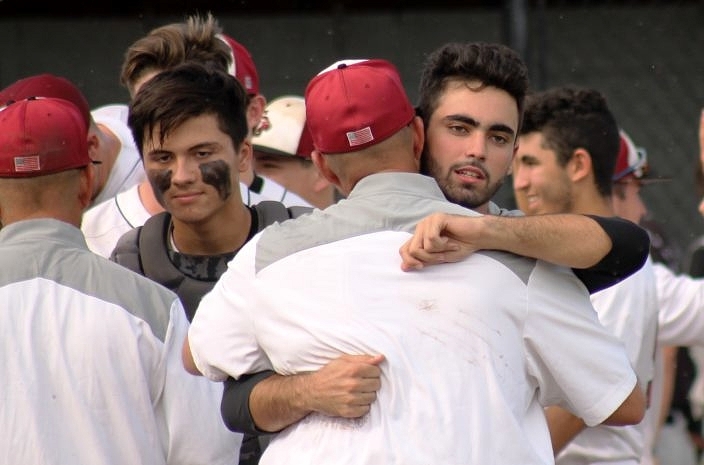 Even as Tuesday’s planned regional semifinal against the visiting Flanagan Falcons did not finally get underway until after three straight days of rain outs, Brian still liked being there at the field everyday. He envisioned what was to come and what he knew he could do to help his team. That vision became a reality on Friday afternoon, as Brian tossed a gem on the mound to stymie the dangerous Falcon bats and earn a 1-0 victory. Douglas will now travel to Jupiter on Tuesday in a 9A regional championship, with the winning team earning a berth in the state Final Four. The Warriors won and advanced with a 5-1 win over Palm Beach Central on Friday. The Eagles managed the only run of the game thanks to a few strong swings from the middle of the order. Shortstop John Rodriguez connected on a 2-2 offering and lined it into left field, then ran hard and slid ahead of the throw to earn himself a double. Catcher Colin Flynn then jumped on the first pitch he saw and lined it into the right-center field gap for an RBI double. The rest was up to Brian, as a base hit in the third from Jonathan Strauss went for the only other hit for the Eagles (19-6). Gonzalez did not miss his spots and did his part to keep Flanagan (24-2) in the contest. The right-hander went the distance, striking out six while walking just one. 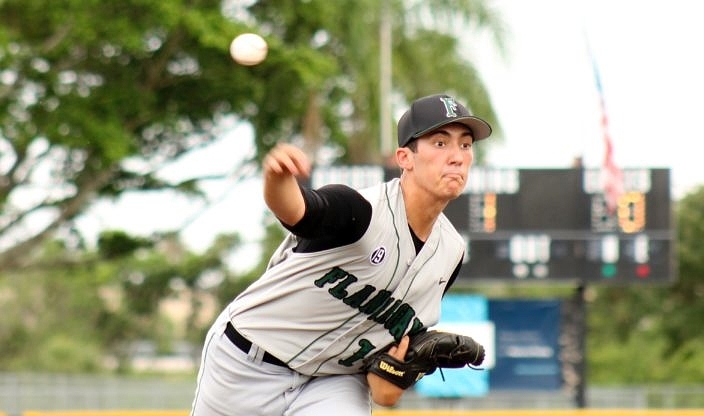 Flanagan senior starter Frank Gonzalez also delivered a complete game, allowing one earned run on three hits and a walk, while striking out six. “My guys know how to back me up; they’ve been doing that all year long. If we keep doing that we’ll have a good, long run,” Brian said. It was a spirited defensive effort from both sides, as neither team committed an error to deliver a cleanly-played contest across the boards. In such a tight battle between two strong clubs and two lethal hurlers, neither side made any mistakes that affected the final result. Instead players made diving grabs at key times, with Eagles shortstop John Rodriguez chasing down a grounder up the middle to then spin and throw out a runner in the sixth on a ball that seemed destined to go as a base hit up the middle. The shortstop also made another tough, 6-3 putout to end the third, after Tyler Evans singled for Flanagan’s first hit of the game. The Falcons’ best scoring opportunity came in the fifth. Noah Martindale was hit by a pitch and advanced on a passed ball, and Jesus Delgado followed with a single that put runners on the corners with only one out. But Brian responded by striking out the next two batters, as he closed out the game by retiring the final eight batters in order. Players and coaches from both sides parted with class and respect following the tough battle on the field. The Douglas baseball program has been something special over the past several years under the guidance of Fitz-Gerald and his staff. The team won its first state title two years ago, and they are still alive in the chase for their second state trophy after defeating one of the toughest teams in the entire country. 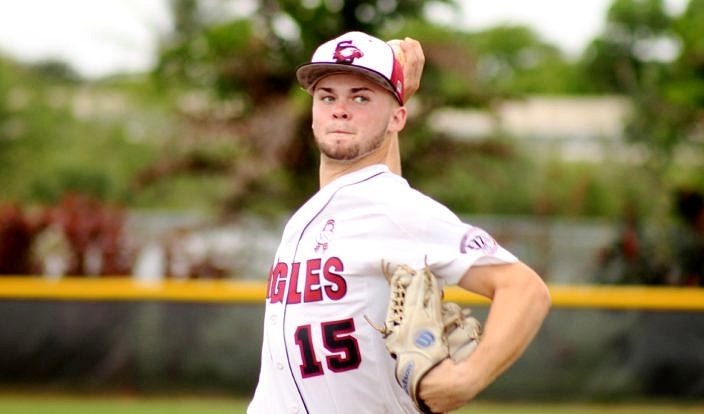 The Eagles took the exact same path to glory two seasons ago, and they are hoping to repeat the same result on Tuesday in Jupiter. Across the nation and world the school has come to be known in name, following the shooting tragedy in February. The baseball team is one group within the Douglas community that embraces its chances to serve as a source of strength and inspiration.